Each year, Counties, Cities, and Towns in the Commonwealth of Virginia seek to raise the tax on prepared foods and beverages for restaurants, hotels, grocery stores, doughnut and coffee shops, convenient stores, and other eateries. If enacted, local individuals, families, and students will pay more for prepared food, and local businesses could suffer and even close, harming our local economies. Please, take a minute to learn more about the negative impact a food tax (aka prepared meals tax) could have on your local community and economy. And check the links below to see if your locality is pushing a meals tax or meals tax increase. 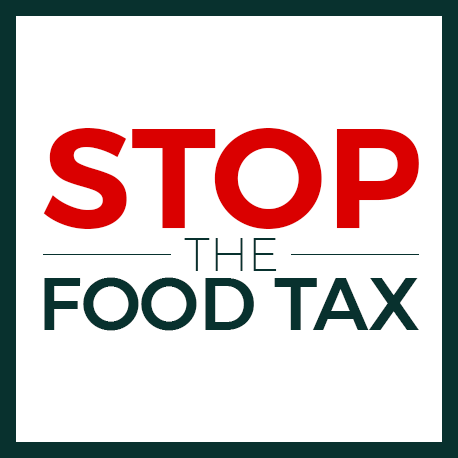 Is so, don’t forget to take action to let your elected officials know that you oppose higher meals taxes. Don’t let your local officials take more hard earned money from residents, businesses, and restaurant staff. It impacts food prices and your family budget. Budgets are being stretched thin with everything from higher tolls to higher premiums. Prepared meals taxes create another burden on busy families, low-income individuals, students, and more, that already have enough to worry about. As you know, eating out is sometimes not a choice but a necessity. Because of this, food taxes disproportionately affect low- to middle-income families, as they are the primary consumers of prepared meals. It unfairly targets and taxes restaurants and the foodservice industry. Food or meals taxes single out the hospitality and tourism industry, often to simply put more money into the general fund. It unfairly targets a single industry, puts even more of a burden on local businesses, and could harm the local economy. Additionally, it would add costly bureaucracy between local government and local businesses. It would waste time, money and resources that could be used to grow business in your county, city, or town.